Anti-drugs officials estimate that more than 50 per cent of all the cocaine consumed in Britain has been trafficked through Venezuela - under the "revolutionary" regime of Mr Chavez. The figure could be as high as two thirds. Senior commanders in Venezuela's security forces are thought to be profiting from the trade and actively helping the smugglers, notably by allowing them to use military airfields. 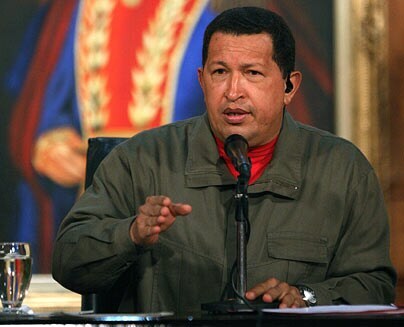 In 1998 - the last year before Mr Chavez came to office - Venezuela's security forces made 11,581 drug-related arrests. By 2005, this had plummeted to only 1,082. Moreover, Mr Chavez has a longstanding relationship with Marxist rebels from the Revolutionary Armed Forces of Colombia (FARC). These guerrillas fund their insurgency by smuggling drugs - and they have a presence on Venezuelan territory which is, at the very least, tolerated. Behind all this, however, lurks corruption in Mr Chavez's security forces. Documented cases suggest that members of the army, police and National Guard are actively helping the traffickers.